Written By: Roberto Orci, Alex Kurtzman, Damon Lindelof, Mark Fergus, and Hawk Ostby, from a story by Fergus, Ostby, and Steve Oederkerk. Based on the comic book by Scott Rosenberg. Starring: Daniel Craig, Harrison Ford, Olivia Wilde, Sam Rockwell, Adam Beach, Paul Dano, and Keith Carradine. Rated: PG-13 for cowboy action and alien action, often in the same shot! 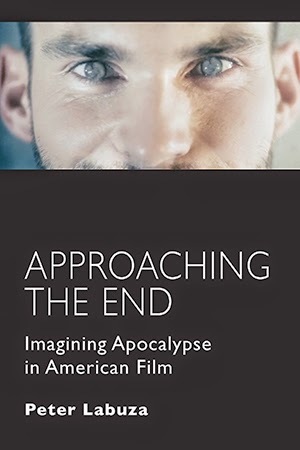 While the West was won over a century ago, and the Western was lost at the end of Clint Eastwood’s Unforgiven, the last decade or so has been sprinkled with films revisiting the lost genre of American can-do-ism and outlaw values. It’s probably the most American of American film types (though recent examples from countries like Australia and even South Korea have challenged that dominance), and yet it is one that is now a place of brooding melancholy in The Assassination of Jesse James, uncontrollable violence in No Country for Old Men, or soulless capitalism in There Will Be Blood. What can we possibly do to revive the great part of the West—the part of lore and myth? If you’re a big Hollywood studio with producers like Steven Spielberg and Ron Howard behind you, the only answer could possibly be aliens (perhaps Transformers, though that’ll be another day). 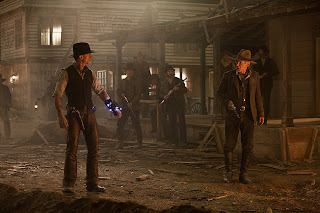 And thus here comes Cowboys & Aliens, which is exactly what you would expect, a Western mashed together with a science fiction action flick that unapologetically borrows tropes from the two genres when needed to make for an entertaining flick. This material is hardly groundbreaking, but it’s more or less inoffensive under the care of Iron Man director Jon Faverau. If anything, Cowboys & Aliens is a case of perfected haggling—you get exactly what you paid for. What will surprise most people about a film with such a ridiculous titles is that the multitude of screenwriters and Mr. Faverau have decided not to wink at the camera—this is a serious summer action film with only the occasional joke and no desire to laugh at itself. Thus, we open in the middle of the desert as a man with no memory suddenly awakes, with his only clue being a metallic arm band on his wrist. Played by Daniel Craig, the man walks into town to discover his name is Jake Loinergan, and he is wanted for robbery and murder, and has invoked the wrath of rich cow herder named Dolarhyde and played by Harrison Ford. But before Mr. Bond and Mr. Jones can have a showdown at the O.K. Corral, a series of metal machines descend from the stars, wreaking havoc and snatching up poor citizens left and right. The only defense, Jake’s armband doubles as some sort of laser shooter. 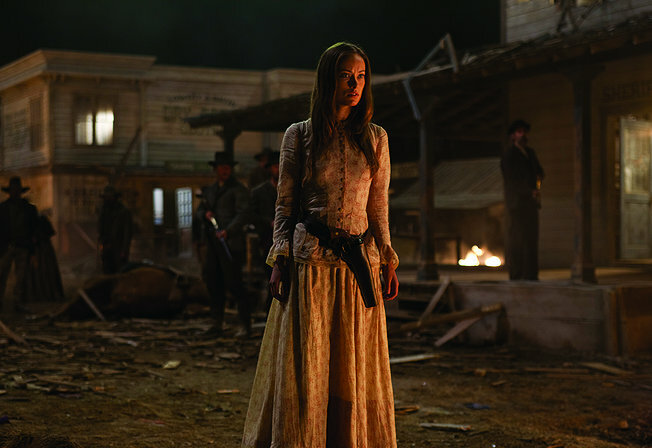 And thus, the foes become the unlikely allies, along with your standard cutout action sidekicks and one mysterious woman with a secret past with the guys from the skies, played here by Olivia Wilde (Ms. Wilde is making a career out of roles written for Summer Glau; see Tron: Legacy). And while the whole thing becomes a paint-by-the-numbers journey of character development and action scenes, Mr. Faverau knows how to treat his action with genuine suspense, and the writers have a good mix of varied action that at least kept my mind interested or at least turned off. It certainly would have helped if the actors seemed more interested in the material, especially Mr. Ford, who can’t seem to do anything but growl at the fact he is in this movie. The aliens, an amalgamation of CGI effects, are unfortunately bland, continuing a trend last noted in Super 8 (CGI has not been kind to aliens; they have become logical, lifelike, and boring to look at). And while the film keeps the stakes of the characters simple and easy, I wish that Mr. Faverau had really tackled the genre. Genre mash-ups are always a unique chance to discuss their hidden workings. Alien showed that space could be a place off pitch black horror, where isolation is the greatest fear. Kung Fu Hustle poked at the Looney Tunes absurdity of the Hong Kong action film by satirizing the films’ absurd action sequences. 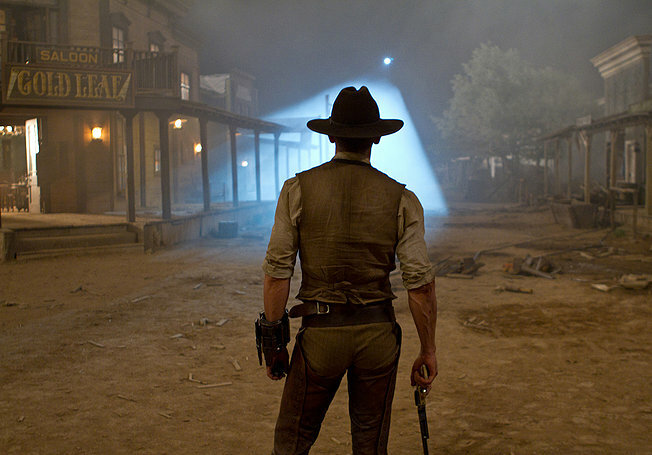 What does Cowboys & Aliens do? Unfortunately, not much of anything. 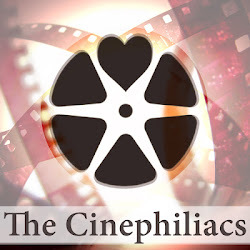 While the film includes the tropes, it doesn’t explore them in a meaningful way, as much as use what it needs in service of the plot (save for some great uses of landscape shots by director of photography Matthew Libatique). The result is an action film harbored in two genres, but with not much to chew on. But Cowboys & Aliens doesn’t care to take many leaps, and for the most part, its harmless fun that is inoffensive and despite its genre mashing, the furthest thing from taking any leaps. This is a movie about cowboys, and it is also a movie about aliens. I think you know what you need to know.